We stock, or overnight can obtain, all leading makes of motorcycle tyres and offer a fit to detached loose wheels brought in by the customer, or if preferred, a ride in ride out fitting service. 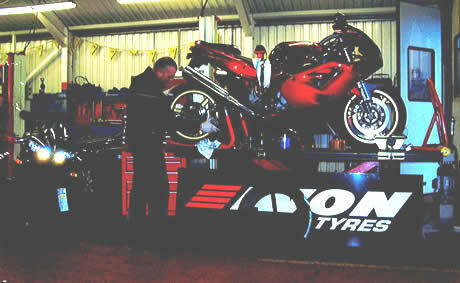 Our two wheel fitters , all experienced riders themselves, are fully trained in the removal and refitting of the wheels and tyres to motorcycles. This combined with the latest Hoffman Megaplan 501 leaverless fitting machines and balancers enables us to offer a very complete professional service to the motorcycle world.